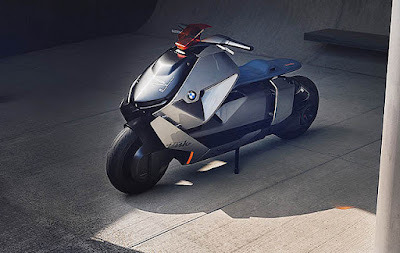 After some time ago giving an idea of ​​how the future of motorcycles will be in the next 100 years, BMW Motorrad is now back in the vision of urban mobility with zero emissions on their two-wheeled vehicles, which are called BMW Motorrad Concept Link. 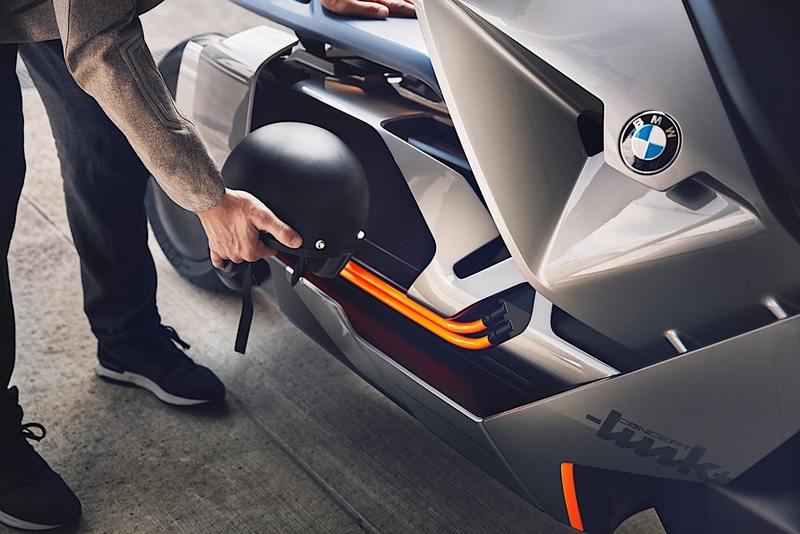 "BMW Motorrad Concept Link represents a new understanding of urban mobility," explained Edgar Heinrich, Head of Design at BMW Motorrad. 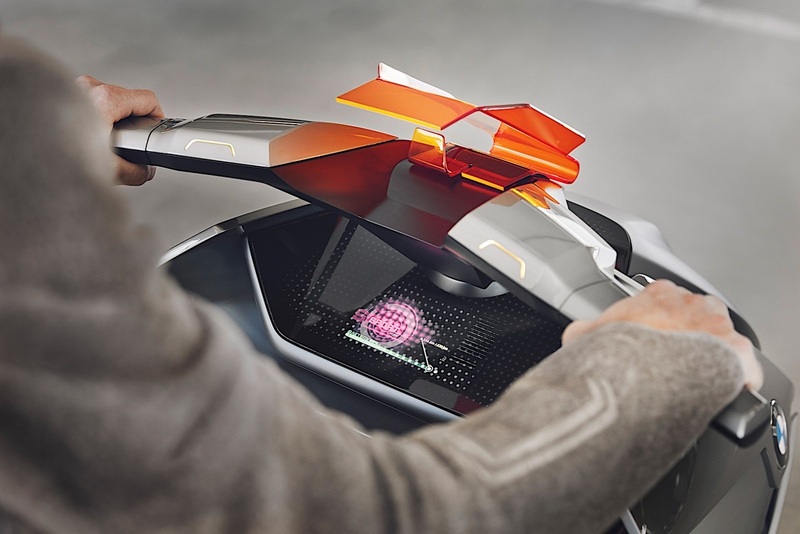 "This vehicle connects the digital and analog worlds, and puts the focus on the driver and his mobility needs." 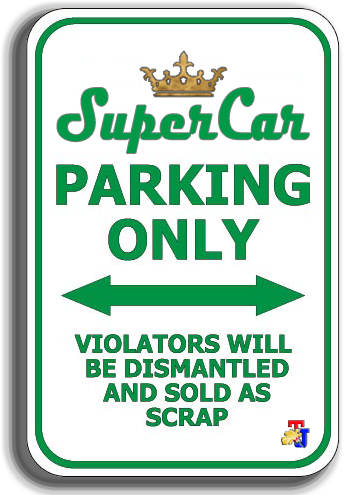 "The focus on motorists is done by connecting functionality and digitization, which allows the vehicle to do both: as a means of transportation and also communication devices," Heinrich continued. "For me, BMW Motorrad Concept Link, with its timeless and minimalist styling, is more than just a concept; this will be a symbol of a new era of two-wheeled vehicles in the future. " 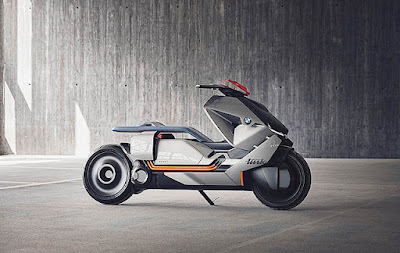 BMW Motorrad Concept The link at first glance looks similar to the C Evolution scooter which was once introduced by BMW Motorrad some time ago. Concept Link seems to maintain a number of designs and shapes, while adding some sharp angles to the exterior, a more upright stance, and a more contrasting feel. Because the scooter's height is quite low, it seems easy for anyone to ride this scooter, whether it's from the side or even from behind. Concept Link is also equipped with reverse gear that makes it easier for vehicles to maneuver, making it ideal for narrow parking areas in urban areas. The seat can also be adjusted in length, according to the driver's desire. BMW Motorrad Concept Link also displays the latest technology used as part of the design package. That is why the side panels do not completely cover the side on the back. 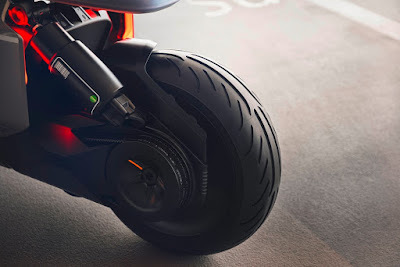 Instead, the panel extends on the side of the vehicle like a small wing, which allows a wider view of technical elements such as engines, cooling parts, swing arms, springs even to transmission belts. 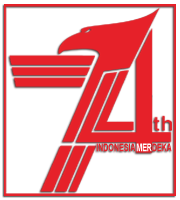 At the same time, this design also helps improve airflow to support vehicle aerodynamics. As with its larger brother, BMW Motorrad Concept Link also keeps drivers connected when driving, through the Artificial Intelligence system that it carries. This system studies driver habits and preferences, such as daily schedules, so the system can plan the fastest or best route; even choose the most suitable music if needed. It's cool too!